Highway England will use one of the biggest events in the British motor-racing calendar to promote motorcycle safety. The 2019 British Superbike Championship gets underway at Silverstone over the Easter weekend, with tens of thousands of motorcyclists expected to visit the Northamptonshire racetrack. 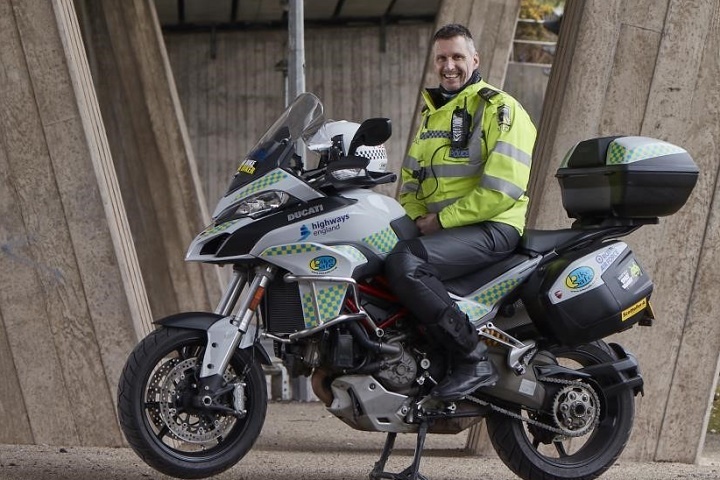 Highways England will be in attendance to promote motorcycle safety and enrol riders on two potentially life-saving courses – BikeSafe and BikerDown. BikeSafe is a police-led initiative. Participants ride with expert police motorcyclists, who observe riding skills and provide advice on how to improve – making riding safer and more enjoyable. The police riders also provide tips on everything from spotting hazards to cornering, filtering and group riding. BikerDown teaches riders what to do if they are the first on the scene at a collision which involves a fellow biker. Visitors to the Highways England stand will also be introduced to a new app, which provides a GPS reference for road users who need help, particularly on remote A roads. Richard Leonard, Highways England head of road safety, said: “We are committed to improving safety on our roads and are conscious that motorcyclists are one of the most vulnerable groups of road users. I wish them well though the uptake may not be as good as they would like. Many bikers who attend race meetings consider that keeping to the speed limit a bit of a no no for them. Keeping to the speed limits is something that many riders seem to find impossible to do – or do not wish to do. Even some advanced riders that I know cannot keep their right wrist under control and stray sometimes far above the speed limits. Are we yet at the stage of not recommending, or at least supporting or encouraging, overtakes that temporarily exceed the speed limit? It has been a no no for some years, but many ‘advanced advisers’ still teach by the old method having gotten their own certification several decades ago (and have perhaps have not looked at the latest Police Roadcraft Manual which has undergone changes). I understand that the training arm of RoSPA are in the process of looking again at their training manual but I just wonder how often these training organisations catch up with any modern changes. Would it be every 5 or 10 years or even more?